The archipelago of Madeira and Azores in the middle of the Atlantic Ocean has drawn my attention since my visit to St Helena, Cabo Verde and Canaries in recent years. 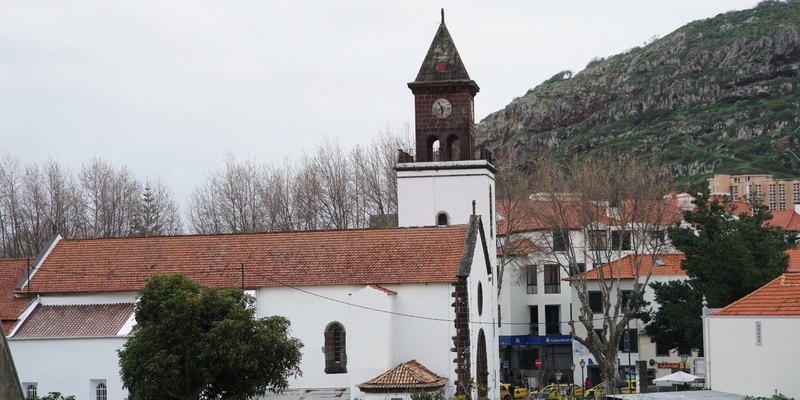 I have found a direct flight from Stockholm on February 10 and an 8-day hiking trip in Madeira. I would spend three weeks in these islands before heading to Mozambique on March 4. The archipelago of Madeira situated in the north Atlantic Ocean and consisting the islands of Madeira, Porto Santo and the Desertas and Savage Islands, is an autonomous region of Portugal with an area of 741km2 and a population of less than 300,000. Madeira was claimed by Portuguese sailors in the service of Prince Henry the Navigator in 1419 and settled after 1420. The region is now a popular year-round destination for some 1.5 million tourists by air and 500,000 by cruise. It is noted for its wine, gastronomy, historical and cultural value, flora and fauna, landscapes and embroidery artisans. Its annual New Year celebrations featuring the largest fireworks show in the world, was officially recognised by Guinness World Records in 2006. It is the second richest region of Portugal by GDP per capita. Madeirans migrated to the US, Venezuela, Brazil, British Guiana, St Vincent and Trinidad in mid-19th century as a result of famine and religious reasons. Today, about 1 million Madeirans are living outside Madeira. Madeira Island is a paradise for hikers and nature lovers. The island is 57km long (from Ponte de Sao Lourenco to Ponte do Pargo) and 22km wide at its widest point (from Ponte da Cruz to Ponte Sao Jorge) with a coastline of 150km. Its mountain ridge extends along the centre of the island. Its landscapes (laurel forest) are on the World Heritage List. Levadas or aqueducts built by the Portuguese since 16th century for irrigation purpose now cover over 2000km providing a network of walking paths. I departed Stockholm after 11am and had a pleasant flight to Madeira. When I arrived after 2:30pm, I was met by Andre, our guide at the airport. He is jolly and pleasant. 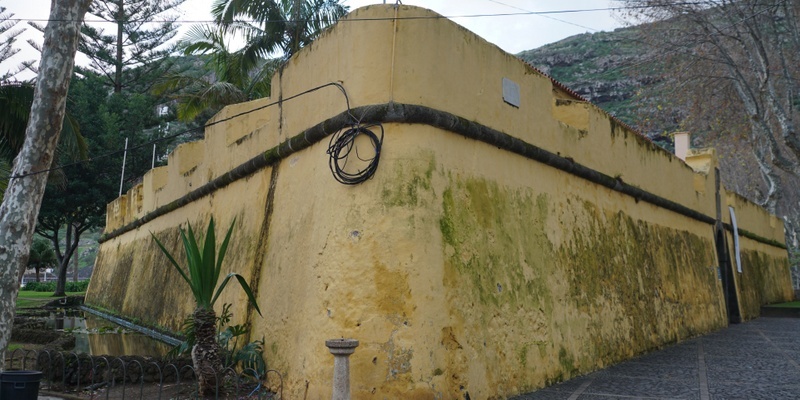 A driver dropped me off at Hotel Dom Pedro Bala in Machico. I spent a few hours on my own before meeting up with the group for dinner at 7pm. Sue, a doctor is my roommate. As I was hungry, I had a late lunch with scabbardfish and fried banana and a glass of white wine. I strolled around the little town which looked deserted. The group had 13 hikers (Sue, Fliss and Frank, Anne and David, Johnathan, Dave, Mark and Victoria are British, Mila, a Spanish, Sonia, an American, Jan, an Australian and I). We had a nice dinner at a local restaurant opposite the hotel. The food is good and cheap. But as I only finished my lunch at 5pm, I decided to e a starter with three enormous mussels and a large beer. I was tired and had a good sleep. We had a leisure breakfast and left the hotel at 9am. Andre took us to the supermarket to buy food for a picnic lunch before taking the 9:45am bus to starting point of the walk along Ponta de Sao Lourenco at the eastern tip of Madeira. The path is well-maintained with iron rails to prevent hikers from falling over the cliff. The 360 degree views are fantastic: volcanic rocky and windswept coast and wild flowers. We stopped at the Casa do Sardinha (the family has donated the land and the house to the government to form part of the nature park). Around 1pm, we stopped near a cove for picnic. Andre, Sue and Mark had a dip and found the water refreshing! We caught the 3:30pm bus back to Machico and watched the carnival with children and dancers in colourful costumes dancing and singing. Unfortunately, it started to rain. I found it chilly and walked back to the hotel. At dinner, Anna and I shared two plates so that we had both beef skewer and scabbardfish. We had a great start of our hiking holiday. We caught the same bus at 9:45am and got off before it entered the tunnel. We had a lovely walk through cultivated fields next to levadas. Before noon, we reached Boca do Risco where we had our first full view of the northern coast. We walked along a coastal path for an hour and had lunch on top of a cliff overlooking the expansive sea and magnificent cliffs. On a clear day, one can see Porto Santo. It’s a most enjoyable walk with fabulous views of the northern coast. I enjoyed the walk till we began descending to Porto da Cruz. Once again, we walked through villages sometimes next to the levadas. I had my first fall on this trip as the stony path was slippery. By 3:30pm, we reached Porto da Cruz and had a beer by the sea. Andre arranged two cars to take us to Hotel O Colmo at Santana. It is a nice hotel with a swimming pool heated by solar energy. Wonderful to have some exercise in the pool before dinner. Today we had an excellent hike along the famous Levada do Caldeirao Verde. It was drizzling when we began. We were transferred to Queimadas natural park (900m) to begin our hike. The path is slippery but atmospheric: we were engulfed by mist, green walls and old trees. It is lush, fresh and green. We saw a number of waterfalls and passed through three tunnels before reaching a 80m-high waterfall. It was after 1pm. We had lunch by the waterfall. After lunch, we took the same path passing through three tunnels. Then we began to descend to a small village called Ilha. By 3:30pm, I sat comfortably at bar opposite the church having a large beer. Our cars picked us up and took us back to the Hotel O Colmo. I had another aqua-aerobatic session which made me feel so much better. Perhaps I had a heavy meal and could not sleep well. By 8am we began a steady climb to Pico Ruivo, the island’s highest peak at 1862m. Johnathan who has a hip problem decided to turn back as he found the hike too challenging. We had to be careful as there was black ice on the slope. We were all in high spirit as we had clear blue sky. The 360degree views at the top are fantastic. I saw Santana, Ilha and other settlements along the coast, majestic mountain ranges and a sea of clouds over the sea. After this we began our strenuous descent following a spectacular ridge via Torrinhas Pass and over the saddle of Pico do Jorge to Encumeada. After the ridge around midday, it became misty. Also Mila had acute stomach pains and struggled to continue. By the time we sat down for lunch after 1:30pm, it was cold and miserable. It was sometime after 2pm when we began our descent. It was so misty that I could not see the path ahead. I was slow and I took extra caution. The path was extremely slippery. I was glad that I had not fallen at all! Andre did not want me to walk alone. I therefore took my time and walked with Mila and Sue accompanied by Andre. We finally finished our walk at 5:30pm. The quickest hikers (Sonia and Victoria) arrived at the destination at 4:45pm. As the weather was beautiful and promising, I decided to join today’s walk. We had a transfer to Encumeada and began our hike at 9:45am. Over the next two hours, we walked through eucalyptus and chestnut woods. The scent of the forest was beautiful and refreshing. We crossed many streams and saw a few landslides. The walk was easy and relatively flat. Around 1pm, we stopped for lunch below the rocky escarpment of Pico Grande with fabulous views of the Nuns Valley. After lunch, we had to climb considerably for a couple of hours. Luckily the path is well-paved and easy though long! Finally, we ended our 68km hike at the St Christopher Chapel around 3:30pm. A minibus took us to a bar for a drink till 5pm. Then we were dropped off at Hotel do Centro in Funchal, the capital of Madeira. It was the first time I found myself in a big city since leaving Hong Kong on February 4. We had a dinner in a traditional Portuguese restaurant. I had fish of the day for 18 euro. I had expected a whole grilled fish. Instead, I was served two tiny pieces of fillets which were dry and tasteless.